Mim drops the tools and puts on the sequins! 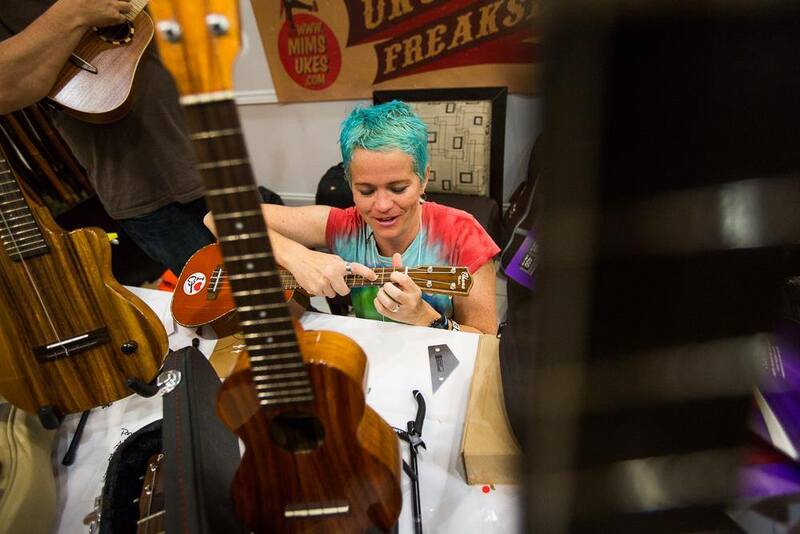 A quick, and I mean quick, Drive by Demo of the Martin Florocarbon Ukulele strings! When they say a warm and clear tone, they arent kidding! This strings are already retaining their tuning and I just put then on. This may be my new go-to arthritis set-up recommended string! Ukulele Spotting at the Dolly Parton museum at Dollywood! Can you find the gold spray painted Baritone and the 60s surf uke? And an added Dolly quote because she is just so cool! All the sequins and rhinestones. I had costume envy! Now if it said "Air-Ukuleles" it would have been more accurate! Had fun with a few kiddos at the Guinness Book of World Records museum! It is a beautiful day to burn the old moldy hay off this hay wagon so I can have a stage for my shop! Some dad's restore cars, my dad restored this hay wagon, cut the wood himself, and even painted it orange. Cookie is assisting! Filling the last of this weeks orders tonight. I needed a sunshiney day outside for my soul... and because there are some things that need to be done in the warmth of the day.